When it came out in 2015, Star Wars: The Force Awakens gave the series a remarkable comeback. Fans became excited for the series again, and it generated $1.9 billion in box office revenue. That said, Mark Hamill had an interesting idea for how to reintroduce his character in the hit film. Hamill recently made a stop over at Hollywood Reporter’s Awards Chatter podcast. While he was there, he talked about a number of subjects, including the possibility of Star Wars fatigue. But he also brought up an idea to director J.J. Abrams on how to bring Luke Skywalker back into the fold. As reported by Nerdist, here’s what Hamill had in mind. “You can still have me come in at the very end, but how about this? Leia’s trying to contact me telepathically. She gets frustrated because there’s no answer so she rushes to the new Death Star…that’s three so far…and she almost gets there when she’s stopped by two Stormtroopers. Just before she’s abducted, one Stormtrooper turns to the other and blows him away, pulls off his helmet and says, ‘Hi sis, I’m here to rescue you.’” If that sounds familiar, it’s because it’s similar to how Luke met Leia in the original Star Wars: A New Hope. Hamill believes fans would’ve loved this kind of callback. For that matter, he had hopes that the “big three”- himself, Carrie Fisher and Harrison Ford- would have a scene in the film. However, Han Solo’s death cut that plan short, and Hamill believes that Luke and Leia should have been present for that event. Regardless, Abrams went with The Force Awakens’ story as planned. To recap, Rey found Luke on a deserted island, and then offered him his original lightsaber. Fans know where the story went from there with The Last Jedi. 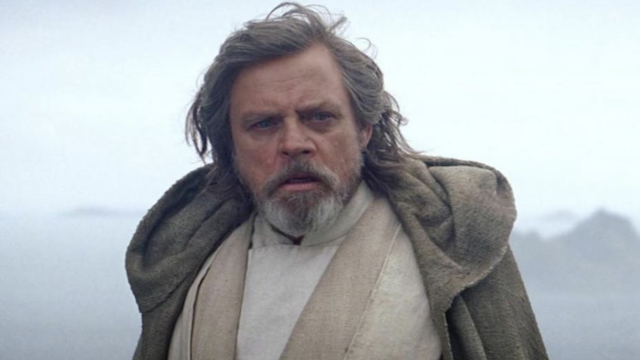 Do you think Hamill’s idea would’ve made The Force Awakens an even better film? Let us know in the comments below!